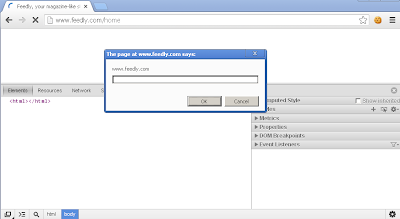 I found a persistence DOM based XSS vulnerability in feedly.com website. 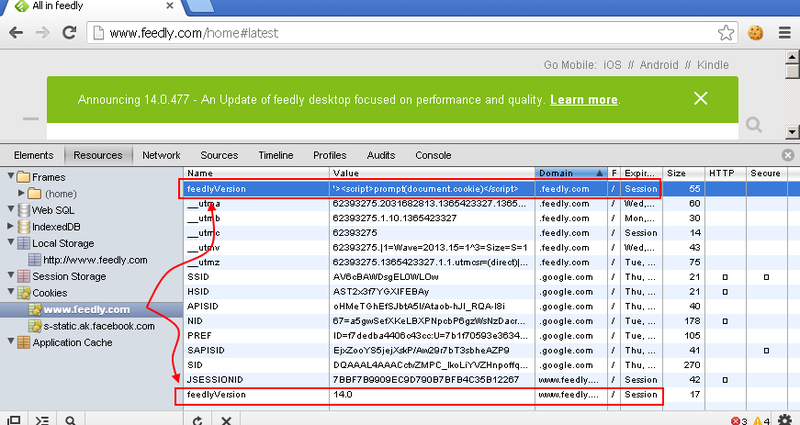 As it was not possible to exploit it directly without altering the cookies, I called it an unexploitable vulnerability! 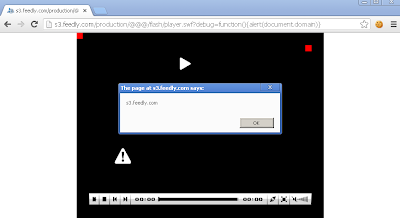 However, I could exploit it by using another XSS vulnerability which was in s3 subdomain of feedly.com website. This post explains what I have done to exploit this issue. 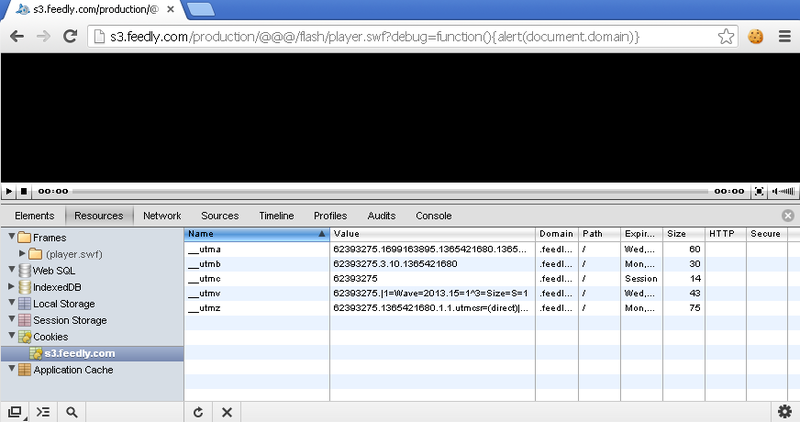 First I found a DOM based XSS in feedly.com. 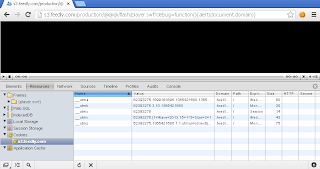 As you can see in below picture the source is a cookie (feedlyVersion) and the sink is document.write(). 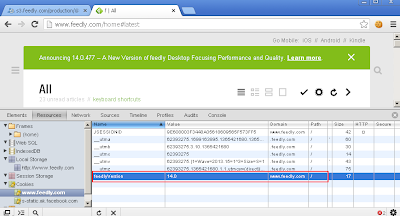 Normally we can't exploit this issue because it's not possible to control the value of 'feedlyVersion' cookie and this is a less severe issue. 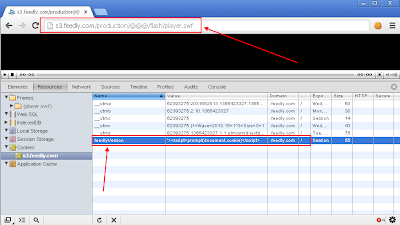 But in this type of vulnerability if attacker can control a cookie in a victim’s browser, then it can be assumed that exploitation is similar to other vectors where an attacker controls aspects of a user request, like a querystring value, or an HTTP POST name-value pair . 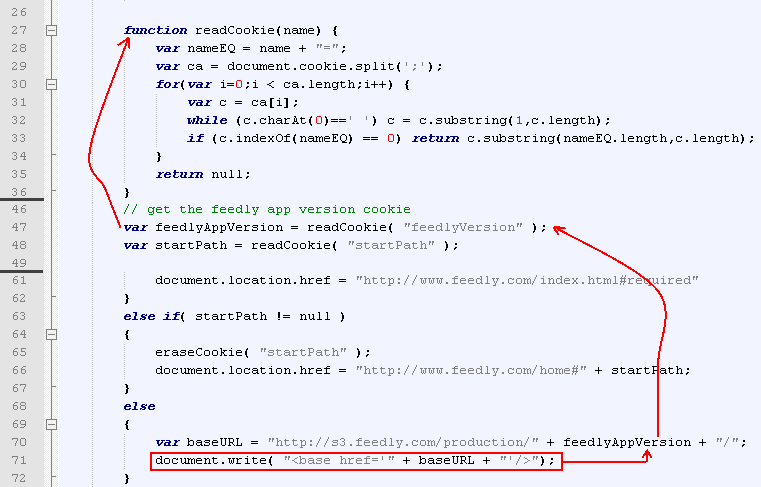 So the only way to exploit this DOM based XSS was adding a new cookie with the same name as 'feedlyVersion' and our payload. 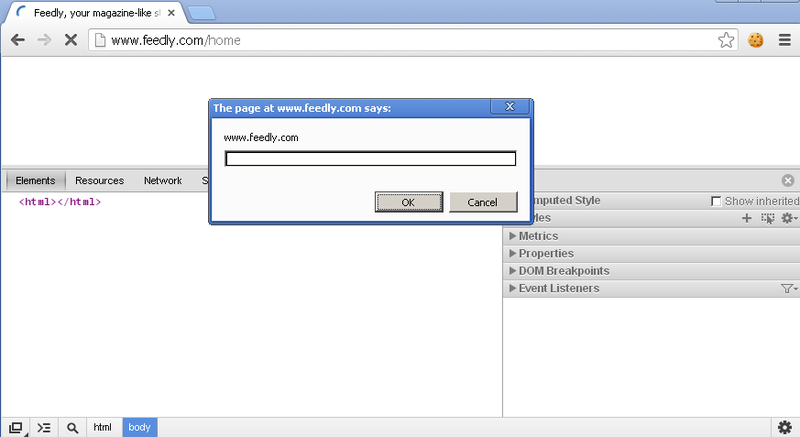 Then I tried to find another XSS vulnerability in feedly.com sub-domains. Quickly I found a vulnerable version of JWplayer  (http://s3.feedly.com/production/@@@/flash/player.swf) in s3.feedly.com. Through this vulnerability in s3.feedly.com subdomain It was possible to add a new cookie for *.feedly.com. 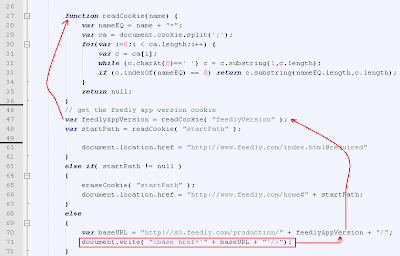 To successfully exploit this issue our new feedlyVersion cookie should be in front of original feedlyVersion in cookie string. 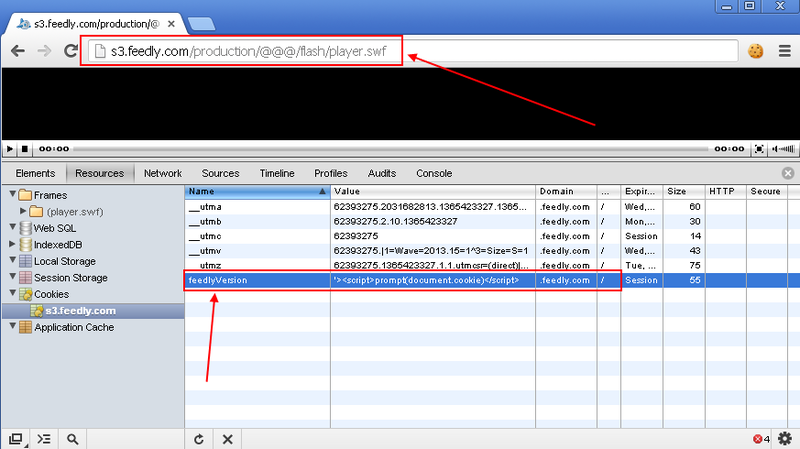 I used the trick which Egor Homakov introduced in his "Hacking Github with Webkit" blogpost . 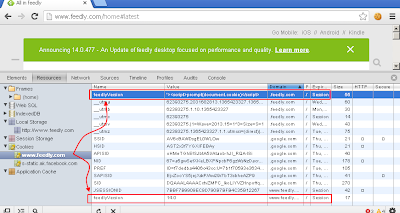 April 8, 2013: Details of the vulnerabilities sent to Feedly. April 8, 2013: Received reply, "Will take a look at them today". April 9, 2013: Received reply, "All issue have been fixed". Kudos to the Feedly team for fixing issues very quickly.